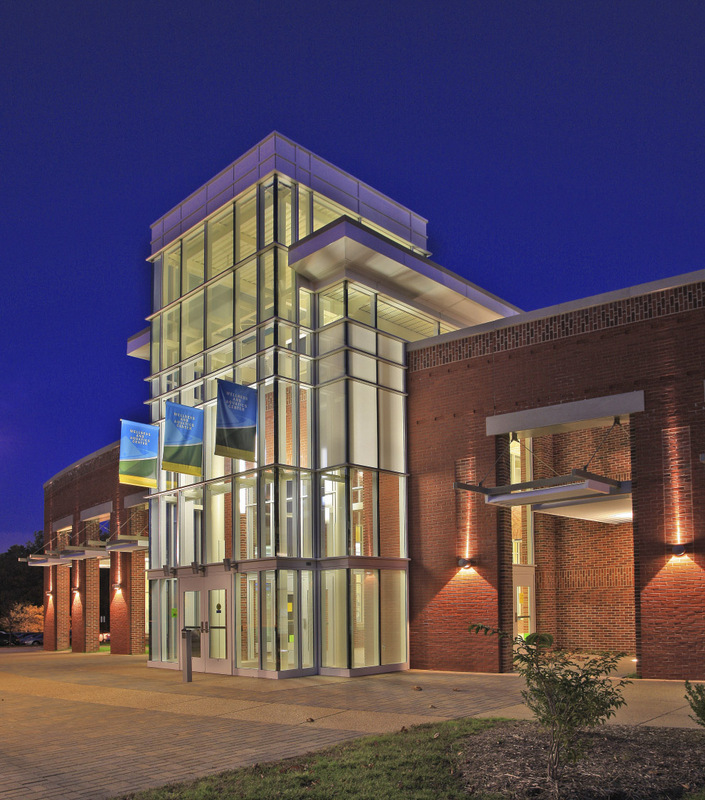 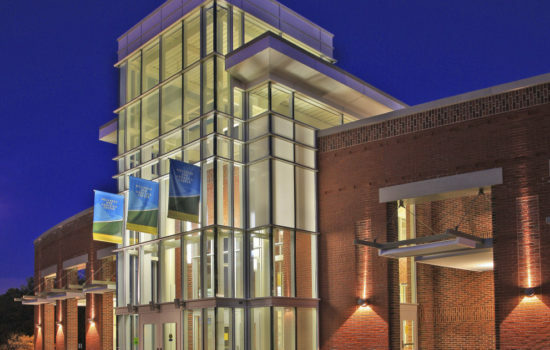 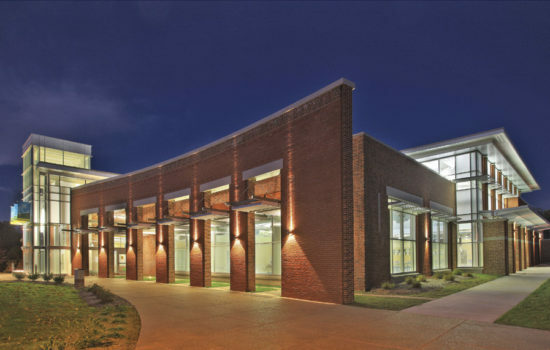 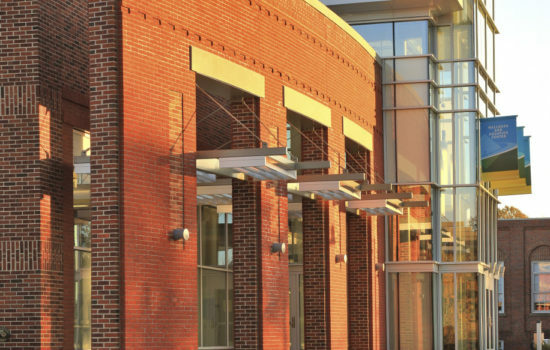 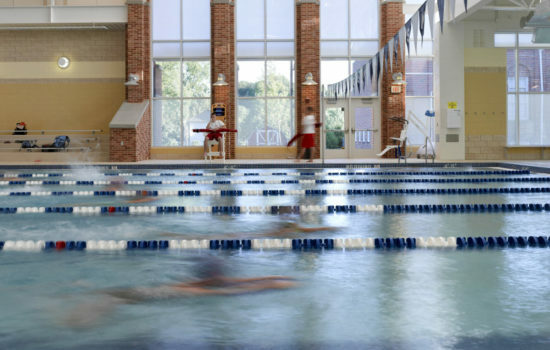 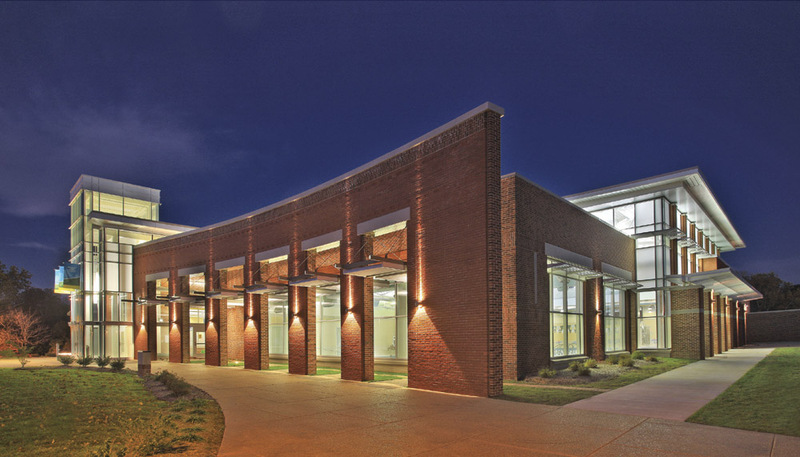 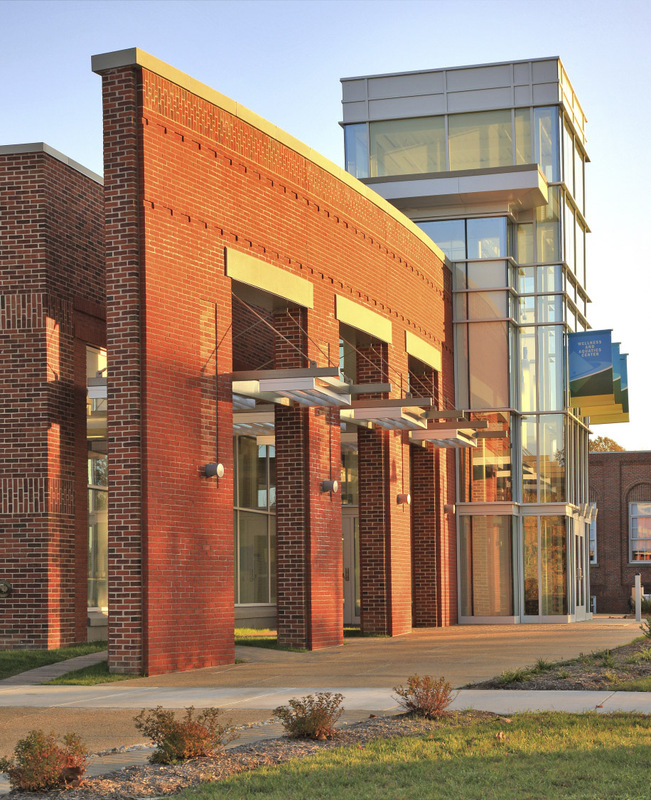 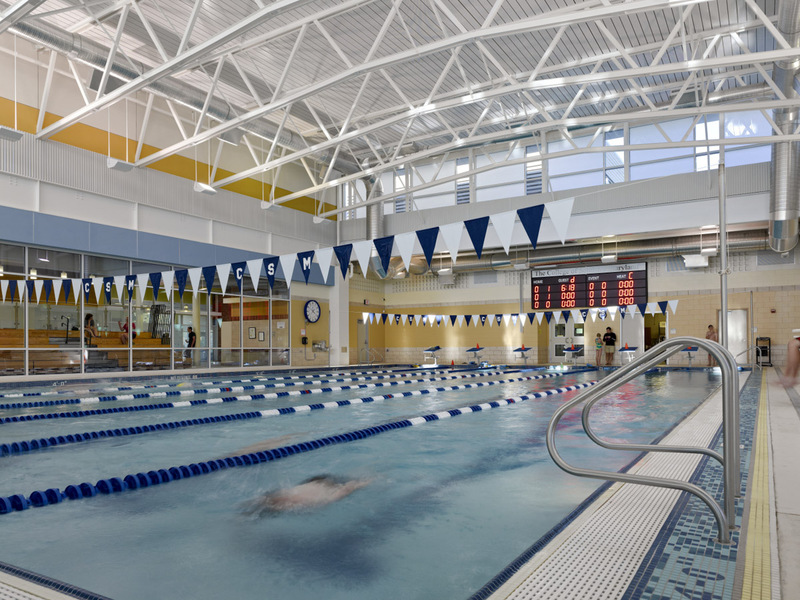 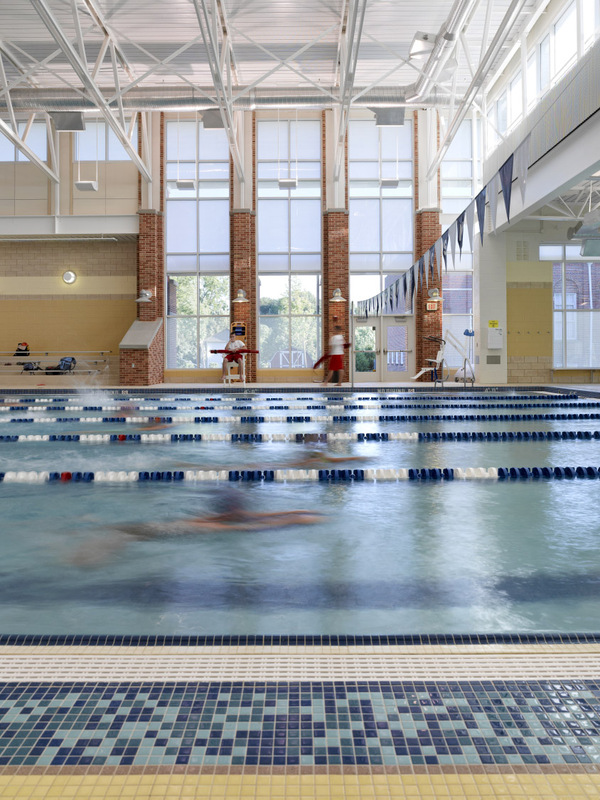 The Wellness and Aquatics Center in at the College of Southern Maryland’s Leonardtown Campus serves students faculty, staff and St. Mary’s County residents. 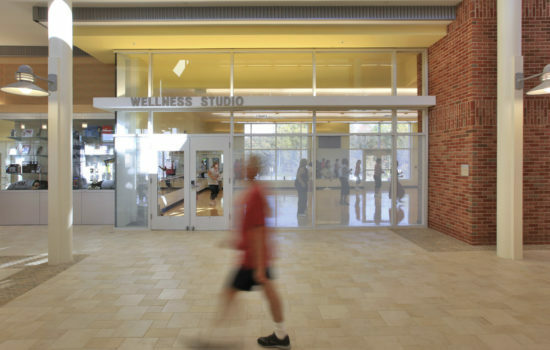 The entrance tower orients and draws in the campus and community, and an extended site and building axis complete the existing pedestrian paths. 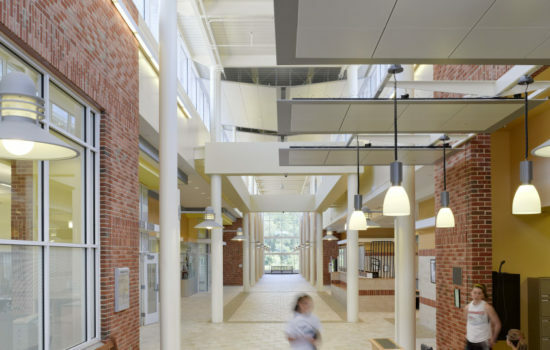 The main hall incorporates elements of the building’s exterior into its very heart, connecting every space in the facility with extensive natural light, integrated seating, displays, and places for conversation, all highlighted by rich and rugged finishes that respect the history of the campus architecture. 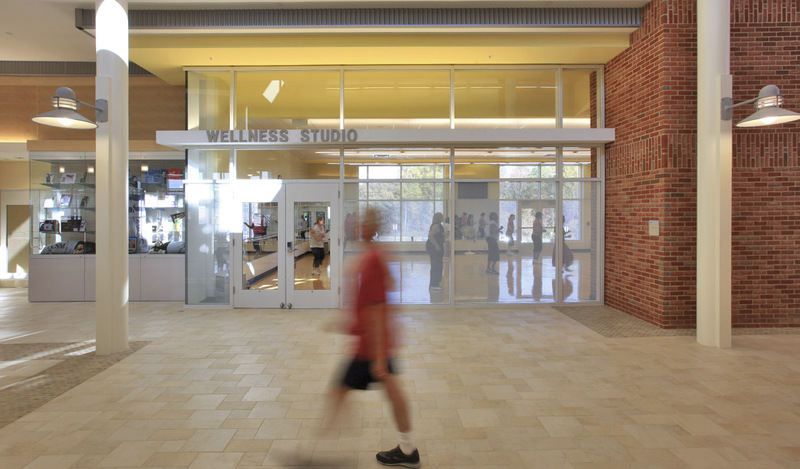 The brick, glass, and cast stone structure is spatially organized in clear moments defined by an entrance tower, a main circulation path, and generously-sized spaces for wellness and fitness. 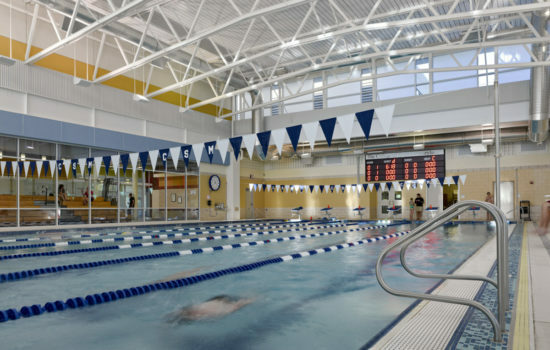 The building features a competition pool, therapy pool, locker rooms, offices, and rooms for fitness, dance and wellness. 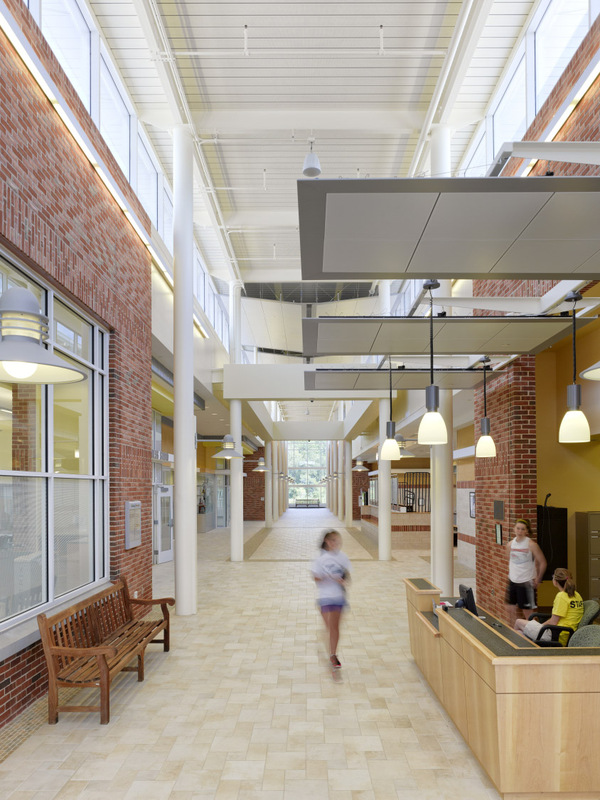 The architecture brings together materials that acknowledge regional traditions with design that looks to the future, promoting lifelong wellness for CSM’s Leonardtown students and residents of St. Mary’s County.